The desert had a definite influence on the Boulder Creek Golf Club. 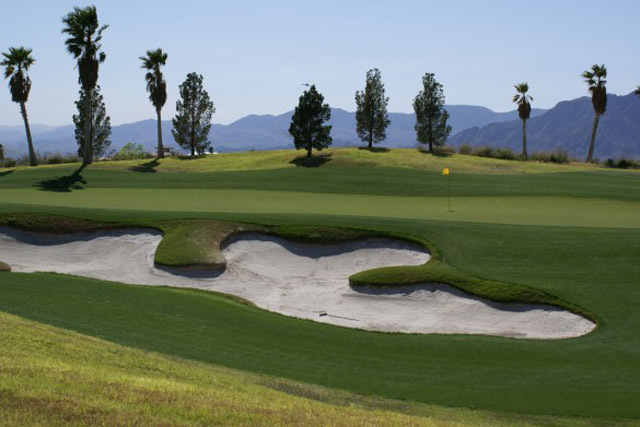 The course has beautiful, desert trees and other foliage that is scattered throughout this course. 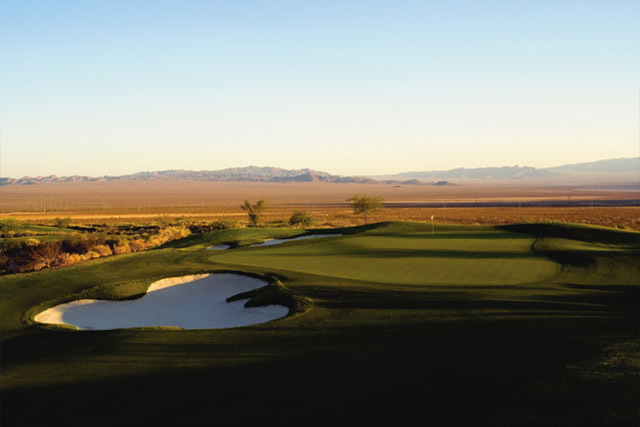 The backdrop of the Las Vegas Valley will make any golfing experience amazing and worthwhile. 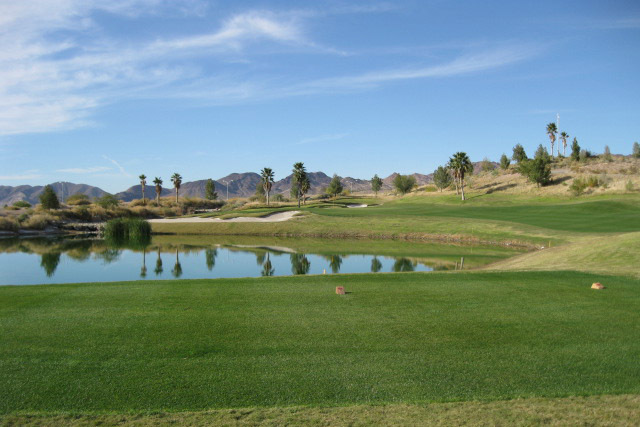 The Boulder Creek Golf Club features the Coyote Run 9. This is a golf course with nine holes and these aren't the easiest holes to play offering plenty of challenges to golfers who head to Boulder Creek Golf Club. The arroyos scattered throughout the course can be both a hindrance and a help, depending on each shot you take. Most golfers will find the Boulder Creek Golf Club's course incredibly difficult. Beginners might want to wait before trying this course out. 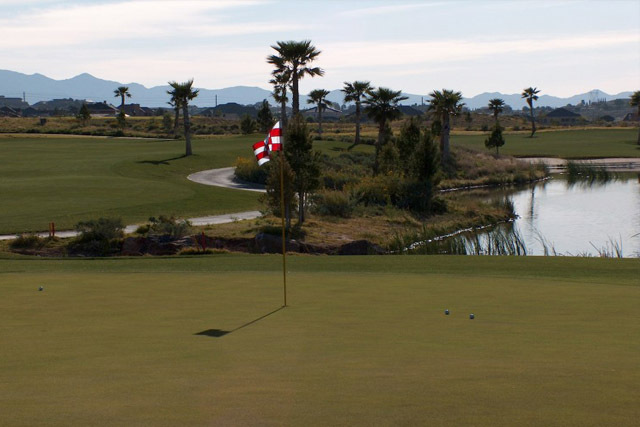 There is a par 5 hole where you can travel from 635 to 500 yards, and there are also various elevation changes, landscape obstacles, and water hazards to make this course both enjoyable and challenging for those who are at least intermediate skilled players. Driving range, putting greens, chipping green, restaurant, lounge and banquet. 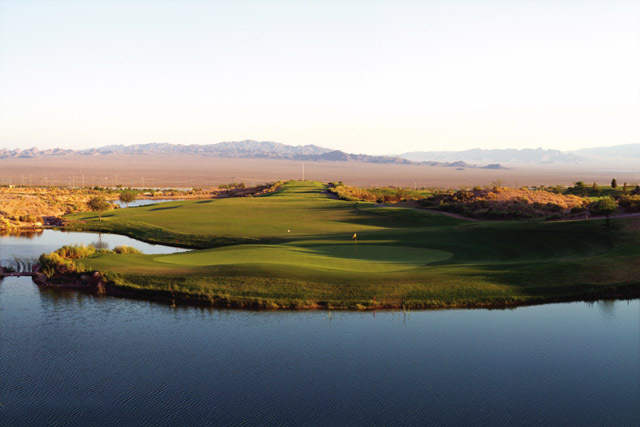 A short drive away from Las Vegas is this wonderful golf course in Boulder City. We have played there year round and the course is always in wonderful shape. Choose your Tee and you will face different challenges. The wind usually is a factor here. The staff is courteous. Never crowded. Highly recommended.